A new nonprofit has formed to focus on "identifying and supporting global standards for flipped learning and related active learning instruction." 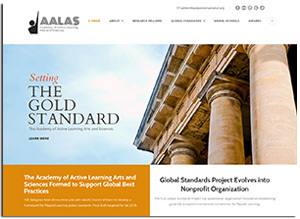 Known as the Academy of Active Learning Arts and Sciences (AALAS), the organization was created out of the Flipped Learning Global Initiative's Global Standards Project, an effort to establish an international framework for flipped learning. All of that project's activities are migrating to the new entity. For more information, visit the AALAS site.